Before learning to walk and talk, Luzmira Zerpa was already singing… well, maybe that’s not literally what happened, but since an early age, the woman who would become the voice, cuatro player and relentless energetic drive of Family Atlantica grew up in an environment where listening to, singing and playing music was a natural as drinking water. 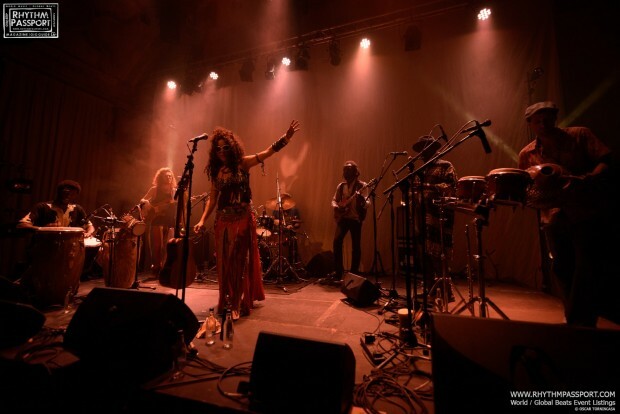 A few days before an exciting events (happening on the 20th of May) that will host Family Atlantica on the Jazz Café stage (buy your tickets HERE), we had a chat with Luzmira to know more about her Venezuelan roots, London family and her innate musical passion. “My relationship with music started when I was a child. I come from a family where everyone sings. Then, in my hometown, we celebrated Saint Anthony’s Day and on that day everyone sings in the street: people gather in front of the main church, they take strings and drums along, and singing is part of their life. So, music has always been part of my life. Where I come from, you don’t need to be a singer to sing! Even if they’re out of tune, people sing anyway”! Then, she made a step into the unknown. She left her hometown, country and even Continent and chose London as her new residency. “I came to London to feel a bit closer to Africa, somehow. I left Venezuela and I wanted to see more of the world. I needed to leave my country and find the means to come back one day in the future”. “Let’s start by saying that I miss the weather, which is reflected in everything. I miss the easiness of people and the relationships with musical people. As I said, where I come from, you don’t need to be a singer to sing or dancer to dance: it’s very easy for people to engage with music and each other. It’s easy to find spaces where it is possible to sing, play and dance. By the way, this morning, I was walking and there was a girl passing by on a bicycle. She was singing out loud and that made me very happy. That’s because that doesn’t represent the normal thing, we are not used to it here! When you are there in Venezuela, you don’t even notice these things, because you think that they’re normal. However, if you live here, things are different”. “When I’m on stage I feel the music I play. I’ve become a musician not only to make and play music for people, but make and play music with people. It’s like a sharing: I’m at one with the audience and the musicians I’m on stage with. It’s almost like repeating the Saint Anthony’s ritual, reviving the celebrations that are going on in the streets. Because there’s the band, but next to it, there’re also all the people surrounding the musicians and they end up joining them. So, I want to repeat that connection, the experience that I lived since I was a child in my hometown. I know that it is much more fun when everybody is involved and is together”. 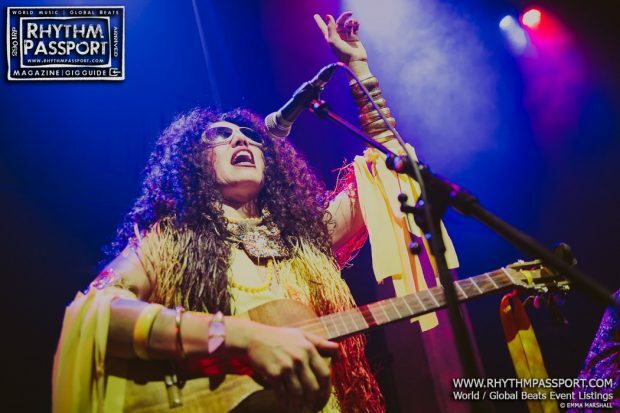 For this reason, a few years ago, Luzmira decided to form a band in London, a band that could embody the heart and spirit of her hometown street parties and spread it among the UK audience. “Family Atlantica started a long time ago. I always wanted to write and play my music and at the same time, understand how to reproduce the music I grew up with. The fact is that I really thought that the only way to do that was to play with 15 other people from my hometown and since I moved to London, I couldn’t do it. But then, when I met some African musicians based in London, and other Latin American and Caribbean ones, I start feeling at home again. So even if we were coming from different communities and countries, we were looking and longing for the same things. We were longing for our cultures, traditions and families. We were looking for new connections and bonds and I really felt that, in one way or another, our stories were the same. Even if I come from Venezuela, I feel that I have common roots with someone coming from Africa, and Europeans too. As a matter of fact, even if you consider the figure of Saint Anthony, he’s celebrated all over the world. So, I sincerely feel that we’re a big family and we have many things in common. So I suddenly realised that what I was singing in Venezuela, even if it was something really traditional and related to my hometown, it was also something that I could find in London once again. The subjects, moods and feelings of longing, love, desire, death and life were present among London people too: they have common meanings and people shared them. That’s why I started feeling a need to be part of one big family, sharing the same story and emotions”. In fact, as Luzmira revealed us, her relationship with her London family is intense. Her bond with both the city and the music scene is strong and, as happens in every relationship, built on highs and lows. “I love London and its music scene. I also believe that this is a very interesting time to live and play music here and I feel positive about it. Despite the fact that some historical and meaningful venues are disappearing, this brings people together to ponder about what is happening. Sometimes, it also scares me, because if I compare what is going on here with where I come from I feel constrained and limited. For example, because of the weather, in my hometown you can do something all year round. You can play and enjoy gigs by the beach, in the streets and public squares. While, here you can’t do that. You always need four walls and a roof around you: you need a venue. So that’s very dangerous to some extents, because often people don’t realise the importance of these places. Anyway, I also feel positive about it. Because, at the same time, there are many people I know, who understand and care about the value of these places: they give the right importance to these venues, because they are places meant for the community, they’re for everyone! That’s why it is possible to mobilise people to fight for the existence of those places. I’m a founder member of Passing Clouds and what’s happened to that place was a wake-up call. It made us realise how important those venues are and people hardly notice it being busy with their everyday lives. They take the existence of places like Passing Clouds for granted”. In one way or another, the London music scene influenced Luzmira’s approach to music and helped her and her band to grow and develop a more original style. “Everything changes. 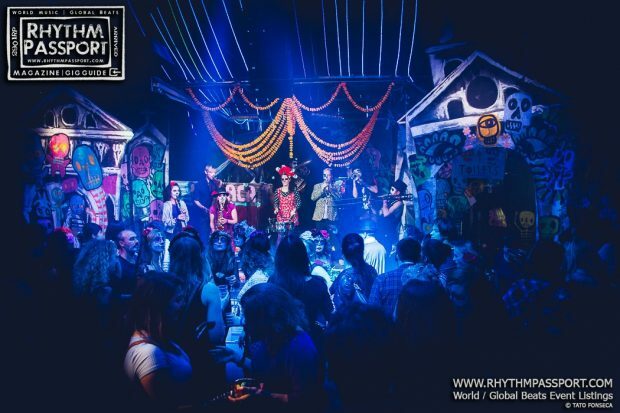 There’s so much happening on the shores of the Atlantic and I’m not just talking about the well-established and standard styles like salsa, cumbia and so on. In the first album, we included a snapshot of some of the rhythms that we kind of know and enjoy, while in our second album we embraced all the rhythms that we couldn’t include in the first one. So, that’s one of the changes that we have brought to our music. In addition, we also evolve as human beings and as a band. We play music and music is a practice itself, like meditation or martial arts. Music is something that you spend hours and hours with and that changes you”. 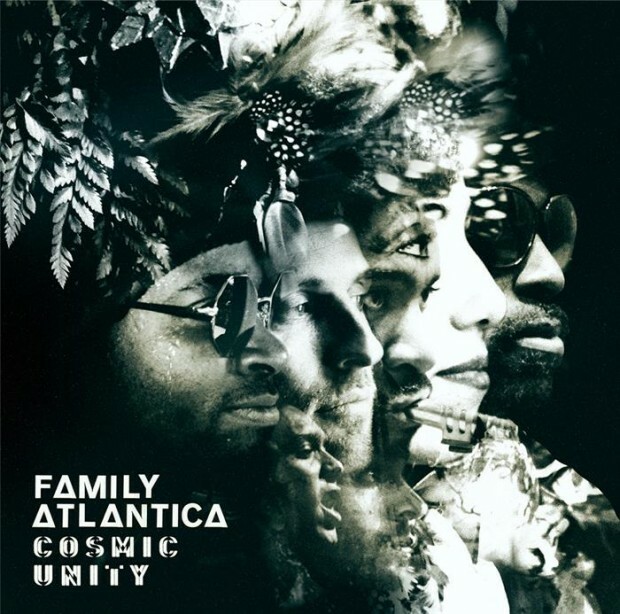 Cosmic Unity (Family Atlantica’s second album published by Soundway Records), was released one year ago. So, we asked Luzmira how she feels about it today and if time has changed her perspective over it. “I still love it, because it’s an expression of ourselves and how we were one year ago. At the same time, it’s interesting because when I listen to it, I’m always like “oh…maybe we should have done this in this way” or “it would have been better to have done that part more…” or again “we should have included this and changed that”. So, yes…I always look to refine it, but also to repeat what we’ve done well”. “We already have a lot of material recorded and, at the same time, we are also working on new tracks. We have started working with Senegalese musicians now and have plenty of new tunes to work on. Since we work with such rich traditions and repertoires, you never exhaust your creative vein. There are a lot of surprises coming up, and if I have to reveal one of them, it is related to the Senegalese dimension that we are embracing”. “Family Atlantica is many different things. Not just because we play as a duet, quartet and 7-piece band. For example, the Family Atlantica duo has a very strong Venezuelan repertoire: voice, cuatro and percussions. I specify that it’s Venezuelan, but Venezuelan music has a very important African energy. So, Family Atlantica, as a duo has a very Venezuelan-oriented repertoire showing the African elements of Venezuelan music. Then, Family Atlantica quartet is a mixture between Ghanaian music with Venezuelan calypso and even Brazilian sound. It’s a never-ending creation, because that’s my idea of music: improvisation. You improvise on what’s going on now, in this particular moment and you portray a picture of what is happening. You also reflect your mood and what is currently happening in your life. I became a musician because music was giving me the opportunity to express that too. So, going back to the quartet, everyone involved is an improviser, and it all works pretty well together. While Family Atlantica full band is another story. 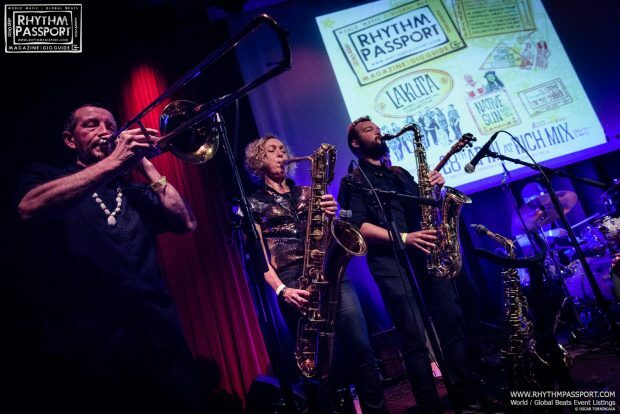 We’re a 7-piece ensemble with electric guitar, drum kit, sax, bass, singer and flute player. We are a psychedelic, Afro-Atlantic, multinational supergroup led by Jack Yglesias (who’s also a core member of Heliocentrics), Kwame Crentsil, master drummer and dancer from Ghana and myself. Anyway, in all three cases, I can just say that they’re three different musical experiences. Music is always an experience, because every time I go on stage, I’m going to be different and I’ll express something different”.